This message was preached by Colin D'cruz at Word of Grace Church on September 3rd, 2017. To listen/download the audio please click here. To listen to the Sunday's worship and prophetic contributions please click here. Imagine a nation made up of people who are cruel! They are rich, they conquer nations, and inflict torture on the nations that they conquer. What would you want to do to such a nation? You want revenge! 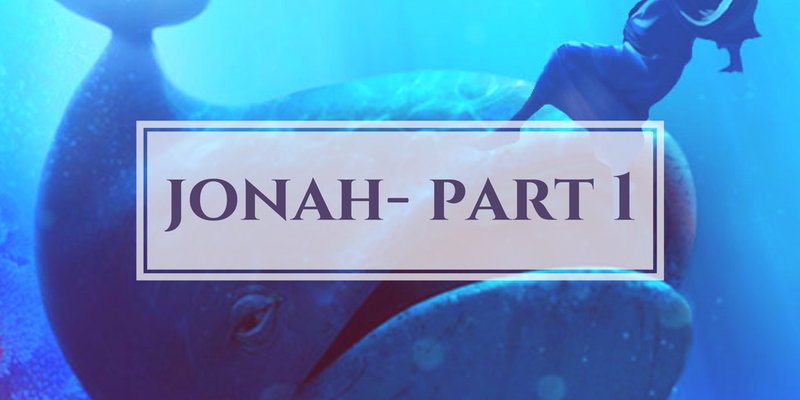 Today we will review God’s heart towards the wicked from the book of Jonah. Jonah lived in Israel. He lived during the reign of Jeroboam 2. At that time, God spoke to him and said, I want you to go to Nineveh and tell them to repent. God is a holy God and in the past has destroyed nations because of their evil. Nineveh is 500 miles to the north east of where jonah was. If God spoke to you and speak to ISIS and tell them to repent or I’ll destroy them, what would you do? Stay at home because they deserve to get punishment for their sin. Jonah was the same. Jonah was not a normal guy. He was a prophet. 2 kings 14:25- He had prophesied that the Israel would be recovered and it happened. So he was an established prophet. He ran to Tarshish. This is 3000 miles in the opposite direction. But God is Omnipresent, omnipotent and omniscient. So he is everywhere, can do everything and knows everything. If you want to see something is God- is that person these three things? Sometimes, when we run away from God’s command and his word, we may find open arms. What are the odds that Jonah found a ship ready to go to Tarshish. It is not God’s ship, but Satan’s shipwreck. It must have been a bad storm if the sailors were afraid. God is in control of everything. They knew that it was a supernatural storm. So this was their response. 1. This is not a fairytale- it’s history. I have been to the city of Nineveh- where Jonah is reknowned. Matthew 12: 39-41 “He answered, “A wicked and adulterous generation asks for a sign! But none will be given it except the sign of the prophet Jonah. 40 For as Jonah was three days and three nights in the belly of a huge fish, so the Son of Man will be three days and three nights in the heart of the earth. 41 The men of Nineveh will stand up at the judgment with this generation and condemn it; for they repented at the preaching of Jonah, and now something greater than Jonah is here” Jesus himself to the story of Jonah. 2. God is in control of everything- he controls the seas, the lots of the sailors, the animals in the sea. You might think that you’re going through difficulties in my life, but understand that your life is in His hands. Romans 8:28- he works all things for the good of those who love him. Many years ago, the lot fell in my favour. We left Kuwait and going through a desert in Syria. I was in charge of a bus, and I put in my list of people and it was right at a beginning. But then the guy dropped the lists and our list came up closer to the top. 3. Jonah heard the voice of God. If you want to hear the word of the Lord, be in his presence. We need to hear him for everything. Yesterday’s word is good, but each day we need to get a word from him. Man does not live by roti alone, but by every word that proceeds from the mouth of the Lord. 4. How do we respond to the word? It doesn’t matter how long you’ve been a Christian, once in a while there is a challenging word. Jonah decided to disobey. 4-5 times in the scriptures, it says he went down when God had asked him to go up to Nineveh. When we turn away from his word, progress is downhill. Down to joppa, down in the ship, down to the sea and down to the belly of the fish. 5. What is God’s response? God pursues us like he pursued Jonah. That is the good news. He wants you to come back and obey his word. God being in control of everything, God used him even in the midst of his sin. The sailors who had their own gods, at the end of chapter one, the sailors cried out to Jonah’s God. In verse 16, they greatly feared the Lord and offered a sacrifice to Him. Even though we are disobedient, God can use us. 6. Sometimes, when he brings that correction, it is painful. We will later on see that he cries out from the belly of the Fish. 7. Jonah 3:1- God’s word came to him a second time- our god is a God of second chances. In verse 4 we see his whole message- “Forty more days and Nineveh will be overthrown.” He was a man of few words. But something changed and amazingly, every person repented and believed. They were 1,20,000 people. Wicked people repented. There is power in the gospel, that people who were evil will repent. 8. God responds to humility and repentance- He relented from destroying the city. If we are caught up in sin and disobedience, there is hope. God doesn’t want to punish and doesn’t want anyone to perish, but wants us to turn and obey. Jesus himself says that Nineveh will be saved because they repented. Q.So where are you this morning? Are you in disobedience to the word you have received? Or are you like the ninevites living a life of sin? Muslims have just celebrated bakrid, where a goat is sacrificed. Jesus was the lamb that was killed for us and because he is fully God, he rose from the dead. Just as Jonah was in the belly of the fish, Jesus was in the grave for 3 days- and rose again. Today Jonah isn’t here preaching repentance, but the message of the gospel is the same- “Repent and Believe”.